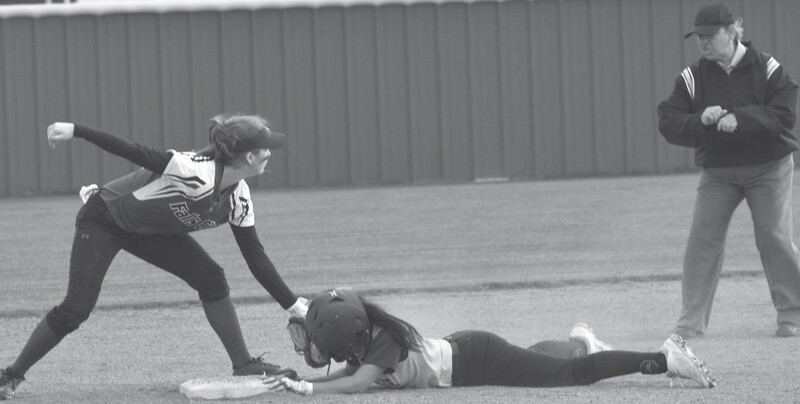 Charlotte’s softball team has won its first three district games, most recently an 11-1 home victory against Falls City. Katherine Groff hit a two-run double in a threerun first inning. Mercedes Sanchez hit an RBI double in the second inning. Stephanie Ramos hit an RBI triple and stole home in the fifth inning to stretch the lead to 6-0. After Falls City scored its lone run in the top of the sixth, Charlotte scored five in the bottom half of the inning to end it. Jessalyn Sanchez hit a two-run triple. Groff hit a run scoring single. Later, two more runs scored on errors. Annelise Gaitan struck out eight batters in six innings. Charlotte beat Pettus 11-1 on the road on March 8.